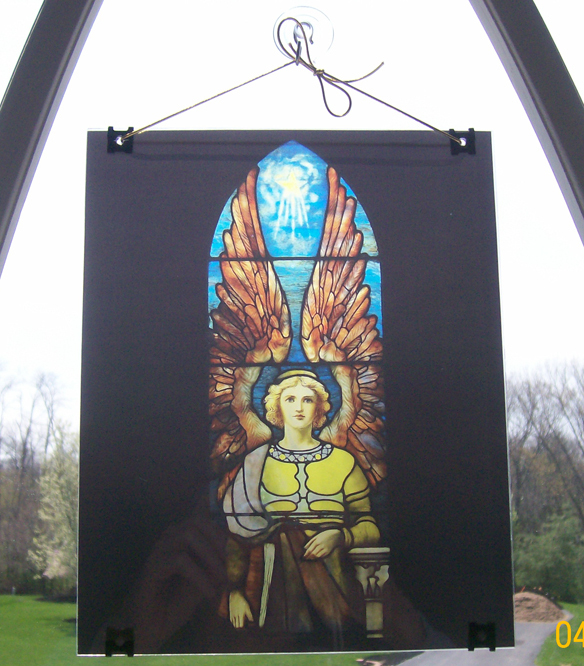 The seven angels found in the Bible’s Book of Revelation were immortalized as stained-glass windows by Tiffany Studios in New York City during the beginning of the 20th century. 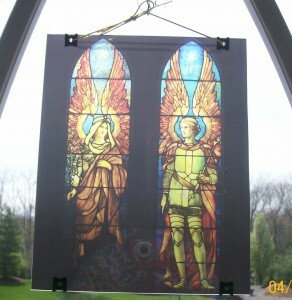 They originally illuminated the Church of the New Jerusalem in Cincinnati, Ohio. When the church was torn down in 1964, the windows were crated and stored. 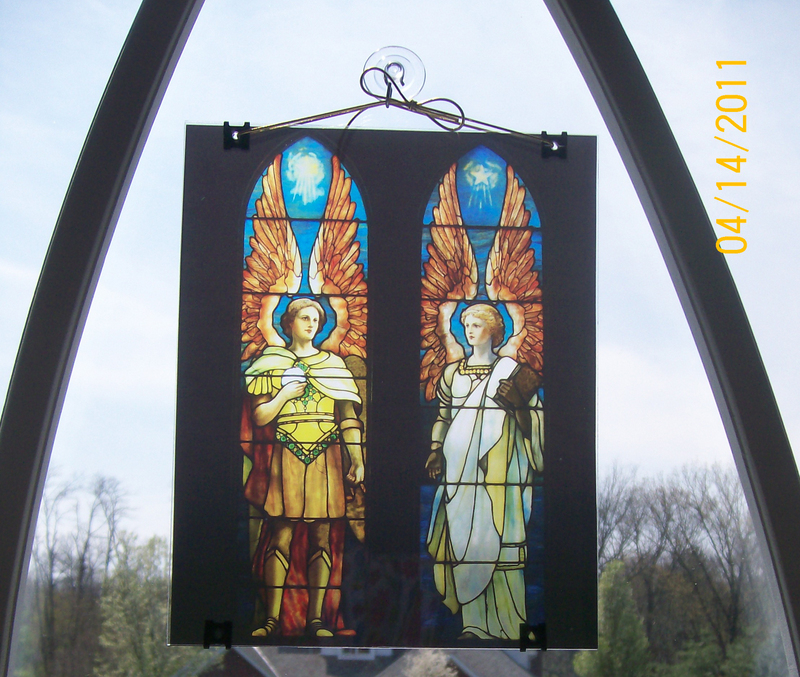 Recently fully restored, the angels are on tour across the United States. Now you can bring the numinosity of these angels to the windows of your home. 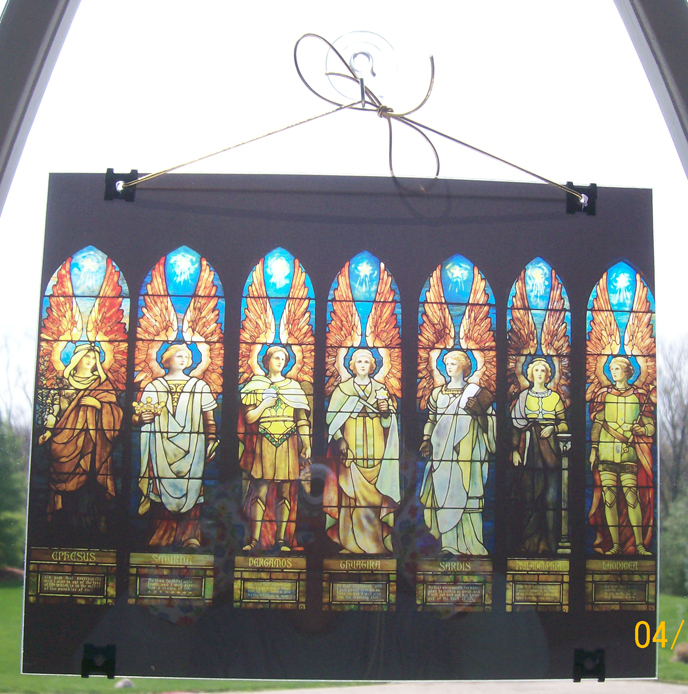 Place these 8×10-inch framed transparencies in a window and experience their illumination every day. 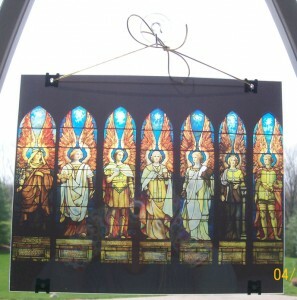 They are available through Paypal for $20 each plus $5 postage and handling.